It’s October and for most people that means one thing: it’s time for Halloween! What could be more exciting than dressing up in costumes, carving and then smashing pumpkins, and then scaring the bejesus out of your friends and family? But the major retailers and record labels don’t feel that way, which is one reason that you’ll already find Christmas gear pushing into the territory of zombies and ghouls, and Christmas albums released by mid-September. Those of us in the know realize that Halloween has always been fertile ground for musical inspiration. 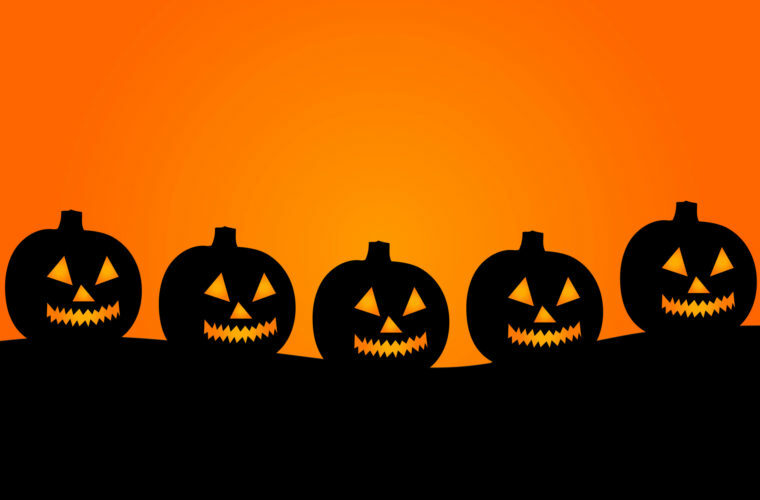 Check out our Halloween playlist for your party or haunted house. Rockwell’s only big hit features a video involving a haunted house and Michael Jackson on backing vocals. That alone makes this 1984 track something of an homage to Jackson’s “Thriller”, which had been released in 1982. Donovan’s “Season of the Witch” was originally released as a single by the Pandemonium in 1967. ALthough Donovan never released his song as a single, he played it frequently over the years and it turned into an influential hit. It also features a hidden gem, guitar work by then-session man Jimmy Page. Halloween and heavy metal are a match made in heaven. Although this AC/DC song peaked at #47 back in 1979, it has proved to have real staying power. The directors of dozens of Halloween movies have been inspired by taking the highway straight to Satan’s lair. Composer Danny Elfman wrote This is Halloween for the Tim Burton movie The Nightmare Before Halloween. It was covered in creepy style by Marilyn Manson in 2006. Rock legend Warren Zevon hit a high of #21 on the Billboard Hot 100 back in 1978. Featuring gruesome alliteration like “a little old lady got mutilated late last night,” Werewolves describes just the type of rollicking good time that seems appropriate for Halloween. Arguably cheesy, “Ghostbusters” nonetheless belongs on the list of every Halloween playlist. Ray Parker Jr.’s only hit actually went to #1 back in 1984. Play this at your party and we guarantee everyone will sing along. Bobby “Boris” Pickett & the Crypt-Kickers released their “graveyard smash” in 1962 and it topped the charts. The song is still going strong more than 50 years later. When the radio plays “Monster Mash,” it heralds the kickoff to the Halloween season. “Sympathy for the Devil” is not just one of the greatest Halloween songs of all time, it’s also one of the greatest rock songs ever. The Rolling Stones narrate the worst atrocities in world history from the perspective of Beelzebub himself. And it’s actually a samba! It only took John Carpenter an hour to compose one of the most iconic movie themes of all time. His theme to Halloween is sure to get even more play, since a reboot of the movie is coming in 2018. Michael Jackson’s “Thriller” is at the top of nearly every list of Halloween hits. In addition to its excellent example of rock and roll, it came with a killer video that revealed Jackson’s love of horror films. “Thriller” also gets high marks for using a voiceover by Vincent Price, who never goes out of style.